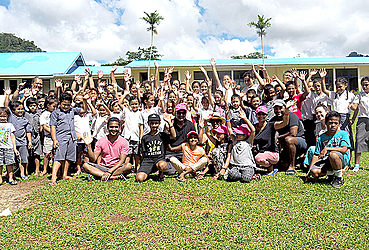 As a method of promoting healthy living, nine Project Abroad volunteers from Australia started a backyard garden project at St. Peter Chanel Primary School in Moamoa last week Tuesday. The project included the construction of a vegetable and herb garden for students as a teaching tool for healthcare. Three families with Sri Lankan origins initiated the project. As a part of the project, the Ravichandra, Nadanachandran and Karunakaran families brought donations from their kids’ schools in Australia. Abirami Ravichandra said: “When we asked the school if they were interested, they were ecstatic and wanted to get involved. The MLC School in Burwood, Newington College in Stanmore and the St. Paul of the Cross Catholic Primary School contributed more than 150 kilos of material. Another part of the project included the repainting of the school’s library. The four kids, Amritha, Noah, Amaya and Vishaalini, painted the wall in the library to help students enjoy their reading time. “I think the project helped them a lot to make it a more happy place,” Vishaalini, 11, said. Amaya Karunakaran, 10, said: “I liked being able to see the classes, how they do things different to our school. The classes are so much smaller and they are very creative what they put on the walls to help them learn. 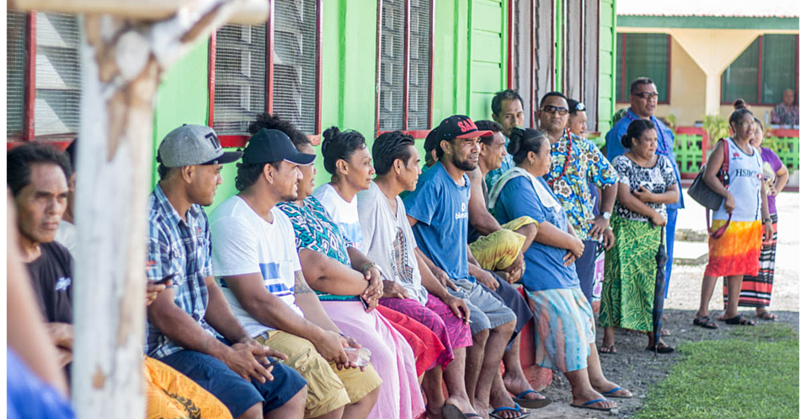 The Vice Principal of St. Peter Chanel Primary School, Salainaoloa Tuimavave said: “I worked with Project Abroad for the past four years. They brought a great bunch of people over the years to our school. “They leave a great impact. 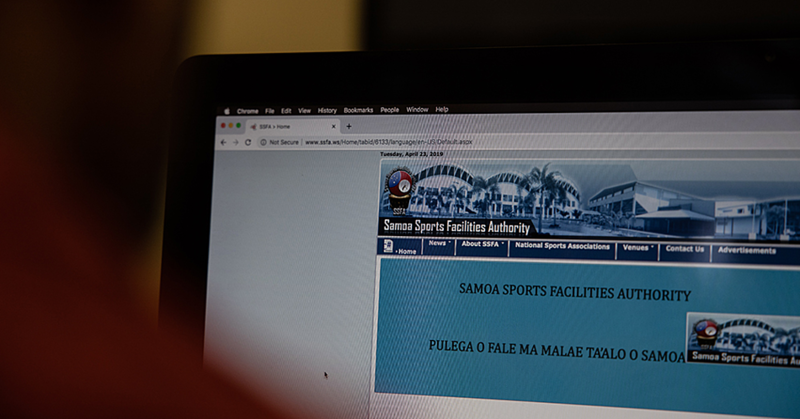 Just the fact that people come all the way to Samoa proves their passion,” she said. 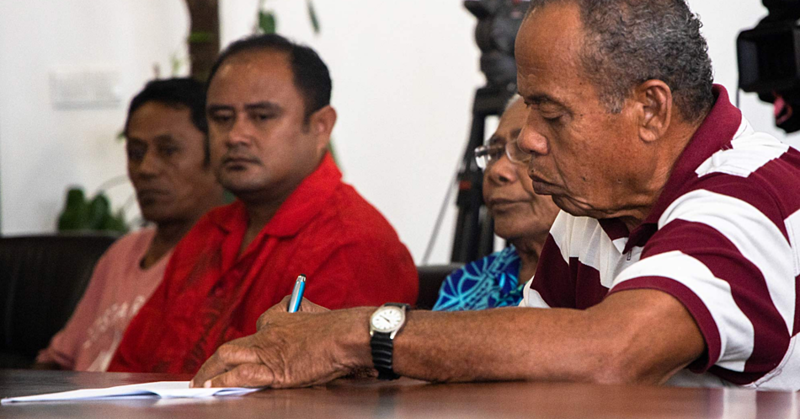 “People like this group they are from Sri Lanka, lived in Australia and came to Samoa, they have so much to give, that is what people need to see. Noah’s father, Narendran Nadanachandran, who is a pediatrician spoke to the children about the body and taking care of their health. “It is about people like him, the kids just loved him. They’re even talking about healthy eating now when he is not around. It was good for them to hear it from a doctor,” Salainnaoloa said. “It is not only to benefit this school, it is benefiting us as well. Our kids learnt a lot from being here, so did we. It has been a really positive experience,” Abirami Ravichandra said. Gopi Karunakaran explained part of the project is to experience a different way of living.